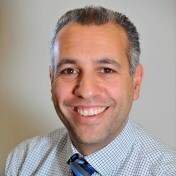 James Nicopoullos is a Consultant Gynaecologist and Subspecialist in Reproductive Medicine and Surgery practising at the Lister Fertility Clinic. He completed his O&G and sub specialty training in London, and completed an MD research thesis on the effect of Sperm aneuploidy and DNA fragmentation on ICSI outcome. He is also widely published in other areas of assisted reproduction such as management of viral positive couples, ovarian hyper stimulation and management of poor responders. When time allows he spends his free time chasing after his 11 and 9 year old sons, tennis balls and obsessively following Arsenal!